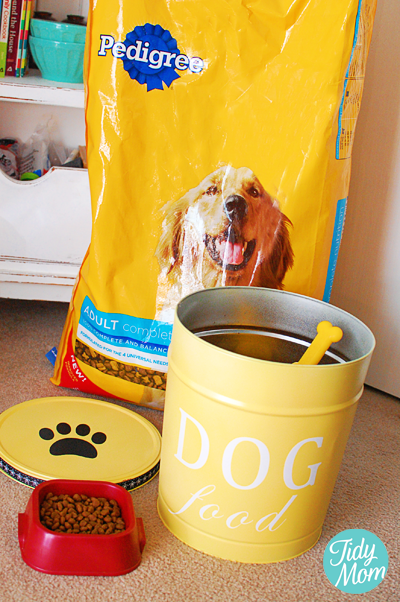 Make your own customized DIY dog food tin storage canister for just a few dollars from an empty popcorn tin. One of the best ways to store your pet’s food is not in the floppy bag, but rather in more sturdy plastic containers or large tin. You know those popcorn tins you get at Christmas that seem like they will last forever……well, when forever is over you can wash them out, paint them and decorate with some vinyl and fill with your dog or cat food! 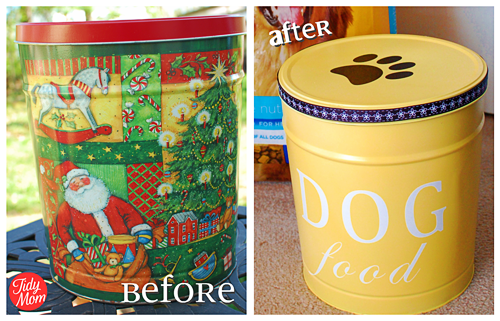 I found a Christmas tin at a garage sale for 50¢, picked up a can of yellow spray paint, cut some fun vinyl with my Silhouette Craft cutter, hot glued cute ribbon around the lid and in no time I had a cute storage container for Cullen’s favorite dog food, all for only a few dollars. A lot cheaper than the $50 Ballard Designs wants. Pedigree dog food has recently been improved to meet and exceed the four universal needs of dogs; Skin & Coat, Oral Care, Digestion and Immunity. It keeps their skin and coat healthy. You better believe we plan to continue feeding our dogs Pedigree Dog food and treats for years to come! If you have a special furball in your life, if you haven’t already, I would recommend you gradually make the switch to Pedigree dog food. 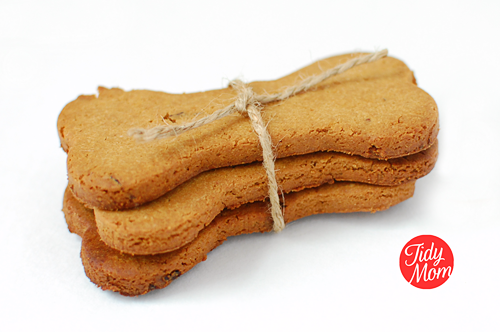 Every time you buy PEDIGREE® Food For Dogs, Pedigree will make a donation to The PEDIGREE Foundation. * So you’re not just doing something good for your own dog, you’re also helping deserving dogs in shelters around the country. Be sure to get your coupons and save a few dollars! 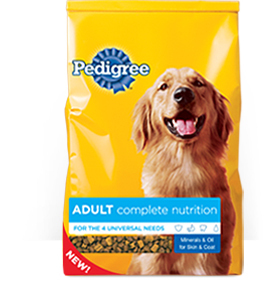 I wrote this review while participating in an Ambassador campaign by Mom Central Consulting on behalf of Pedigree and received dog food to facilitate my reviews and a promotional item to thank me for taking the time to participate. All opinions and love of Pedigree are my own. 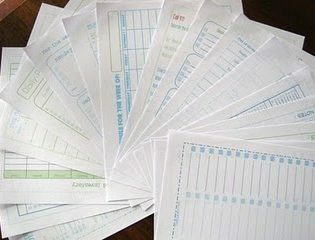 I love how simple–and smart–this idea is! I just put up a similar post (I used chalkboard paint) and of course linked back to you to give you full credit. Where did you get the dog scoop? It came in a bag of Pedigree several years ago. Hey Cheryl! It’s so awesome that I came across this today! Yesterday I decided I was tired of the large bag we buy our dog food in and wanted to move all of the food into a really cute container. This is such a cute idea! Thanks so much for passing this along! I would LOVE for you to come by my link party and post this for others to see! This is really cute. How much food will it hold? That happened to me with canning jars and chalkboard spray paint…disaster. I ended up using a spray primer first. Also the glossy spray paint seems to do it more. Had better results with the satin spray. I’m going to try and use the spray & primer product today (wish me luck) and see how that goes. Also, I would tape off the part that meets the lid where the top slides over…it makes my can stick and I sometimes have to work it to come off–won’t make that mistake again. And those canning jar lids…I did those in the garage in December and anything I have sprayed when it’s below 69 degrees goes wonky. The warmer the day…the better the results I’ve found. 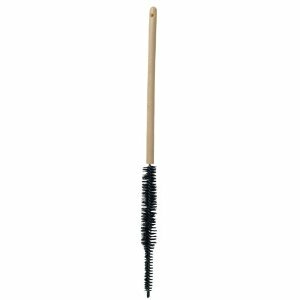 I’m in love with this.. I’m going to go find one of those in the basement and paint it.. so cute! I love it….that is so cute and would look great just sitting out in the kitchen. I have used those cans for storing my Christmas ornaments in. It works great for that also. This is a great idea! The SD (initials only in this case) containers are not secure, and spill all over. Plus they are heavy for a person like me with back trouble. I think I found our new plan! Thanks for sharing it! BEWARE: For your dog’s safety, LEAVE its dry kibble in the original bag and place inside these great custom DYI dog food containers. Be sure to close the bag as tightly as possible after each opening (I fold the top over several times and hold it closed with a heavy-duty potato chip bag clip). Why should you do this? #1 – If there is a “recall” on your brand of dog kibble, you can easily check the “Serial/Lot Number” printed on the bag and will know instantly whether or not you should discontinue feeding it to your dog. 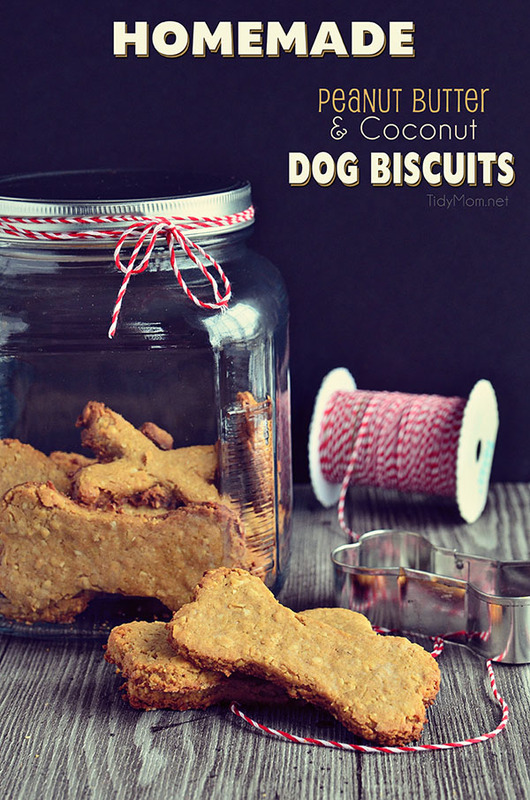 #2 – The quality of ALL commercial dog food (canned and bagged), regardless of price, starts to oxydize (deteriorate) once opened and exposed to air, light and heat. The “Best if Used By (Date)” pertains only to unopened bags. Additionally, the less expensive (mostly lower quality) brands are sprayed with flavor enhancements to entice dogs to eat it. These enhancements cause the dry kibble to start turning rancid within several weeks after the initial opening of the bag. 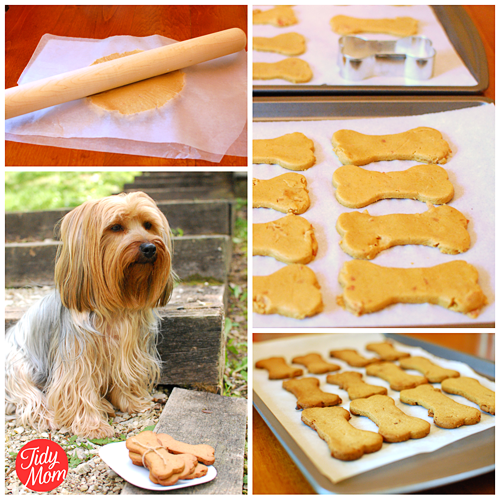 Dog nutritionists recommend you buy the highest quality dry kibble in a bag size that can be consumed within 4 – 6 weeks. What kind of paint did you use on the cans? 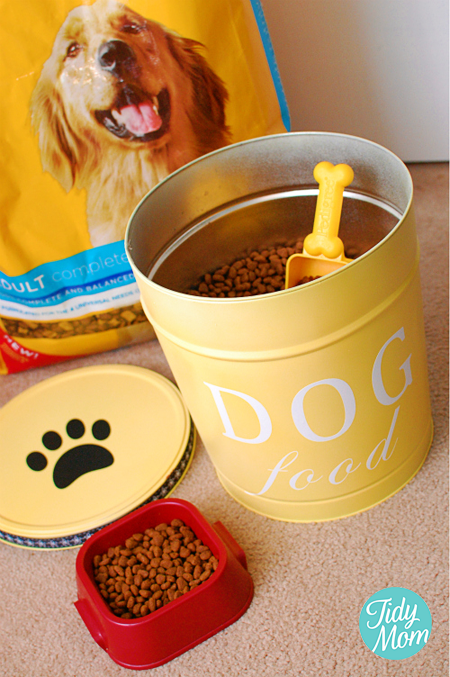 Do you realize that dog & cat food bags are the best place to keep food stored? 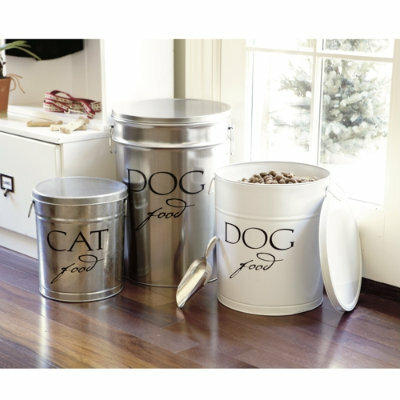 The bags are specifically designed to keep the pet food fresh. However, I put the large bag into these kinds of containers – which not only looks prettier – but adds an extra ounce of prevention to not allowing the air to get into them. I store them in a cool place (not above 60 degrees) and clip the bag shut inside the tin. Food stays fresher a lot longer. Where do you buy your vinyl from?